Well, this has been on my TBR for quite some time, and I guess I'm glad to have finally read it. It's one of those books that as perfectly pleasant while I was reading it, but almost immediately upon finishing it I started struggling to remember what it as about. So, not really a lasting impression kind of book. It did remind me of Joshua Khan's amazing series, which is both a positive and a negative. The positive is that's a pretty good association. 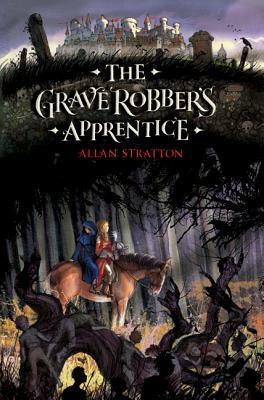 The negative is that The Grave Robber's Apprentice falls flat in comparison. But, all that aside, I did enjoy it. 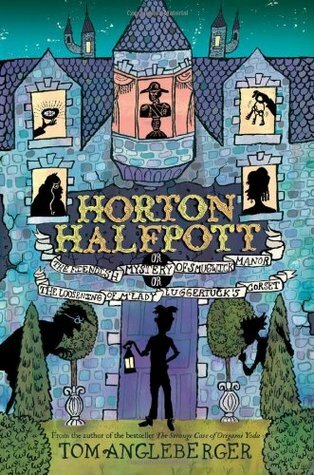 This is a fast-paced, short-chaptered middle grade story with stock but endearing characters and a story I was interested in following. Kids will probably love it. Overall, recommended. This one was also short, short-chaptered (sometimes even a page! ), super fast read, but unlike The Grave Robber's Apprentice, this one sparkled with creativity. The writing style was charming and funny, the characters, while stock, still leapt off the page. This is the kind of book that makes me want to use words like delightful. Very much recommended. Meh. I was fresh off the high of Horton Halfpott and hoping for more fast, fun middle grade levity but this one kind of put a damper on my streak. It wasn't bad, exactly, but it wasn't great either. Even though The Grave Robber's Apprentice wasn't blowing me away with originality, it still had a plot that was unique enough to be its own. 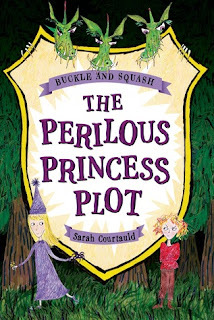 The Perilous Princess Plot was just trite. Stereotypical princess (stupid, silly, pretty, focused on romance) gets herself into trouble and stereotypical anti-princess princess (smart, brave, doesn't need a man, amazing!) gets her out of trouble. It was all just dripping with cardboard girl power. And, because that really was the focus of the story, everything else in the book felt like it was only there to prop up the tired old feminist spiel. Which, really, does weaken the message.